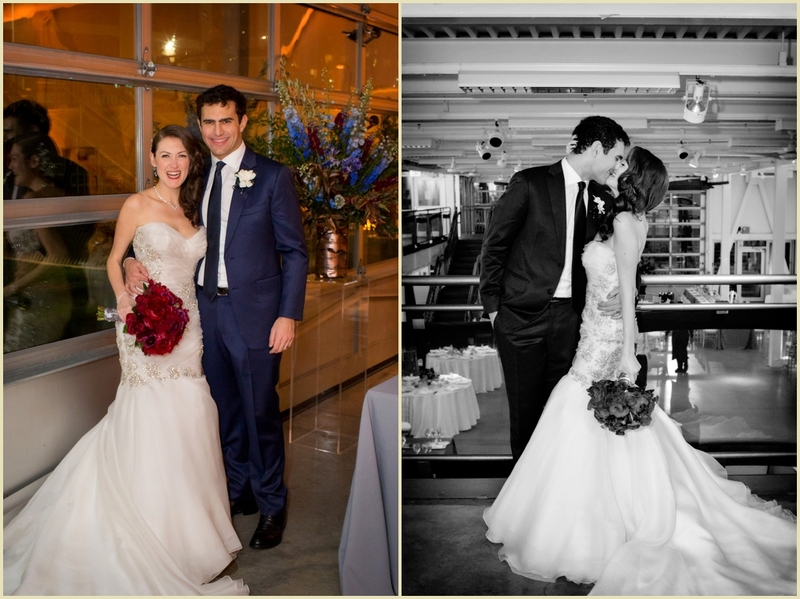 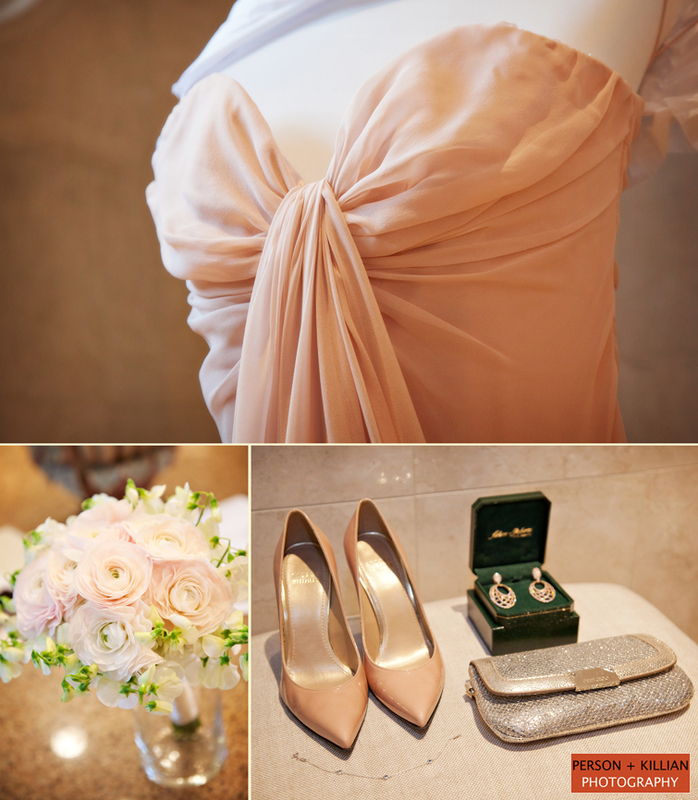 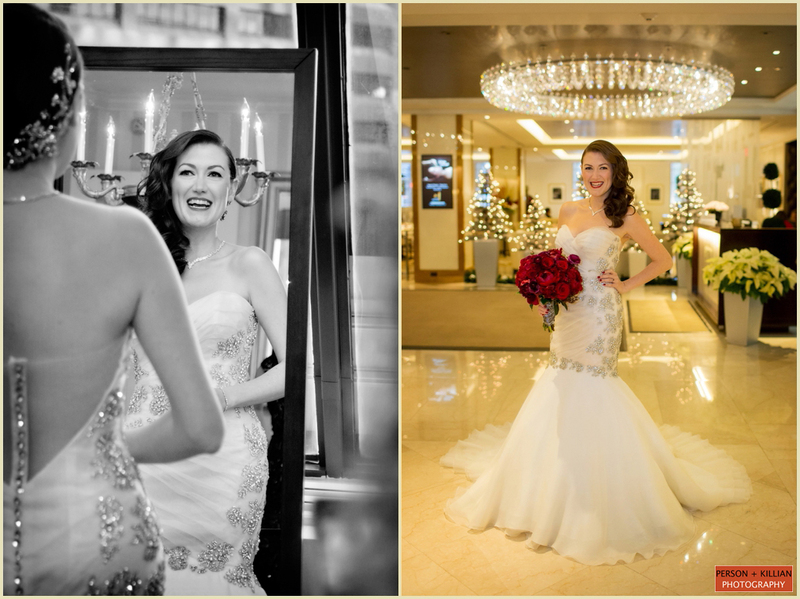 Our December kicked off with the fantastic two day wedding celebration of Linda and John. 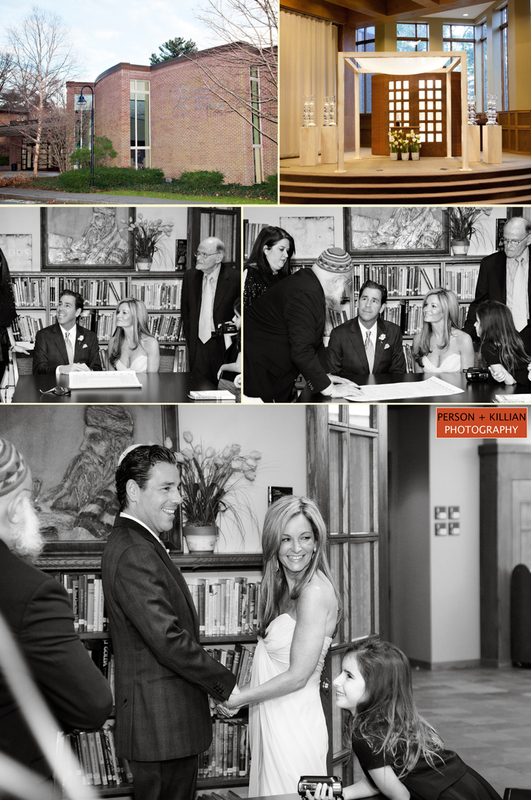 Friday began at the couple’s home where we had a chance take some photos of the bride, groom and their beautiful family before heading off to the ceremony at Temple Beth Avodah. 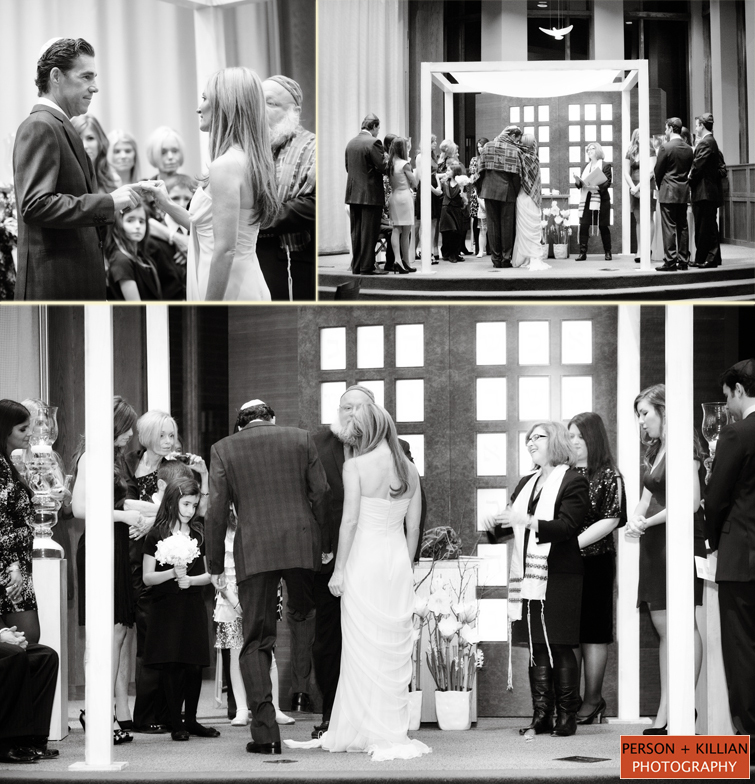 Both Linda and John wanted to be surrounded by their close family for such a special occasion. 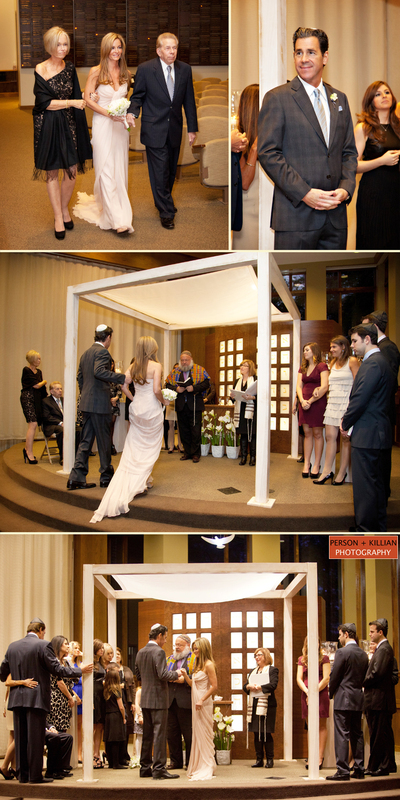 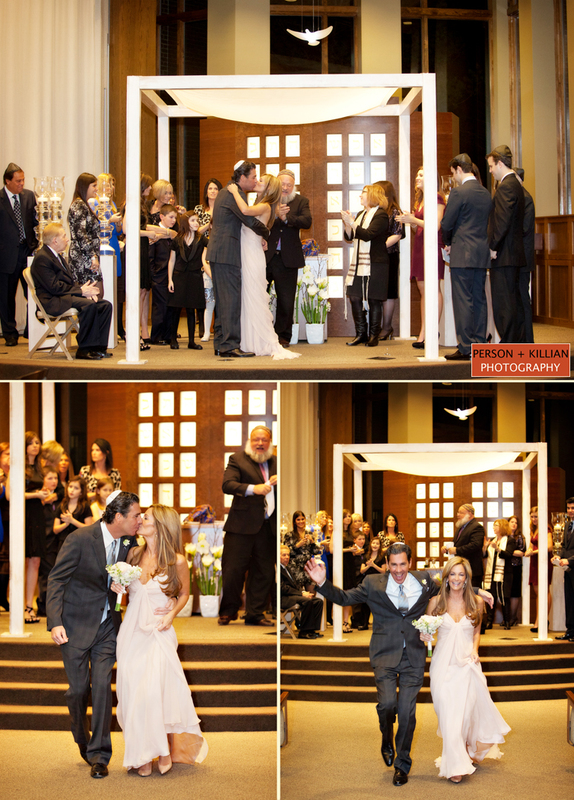 After the Ketubah signing the Rabbi invited the whole family to join the couple under the Chuppah for their wedding vows. 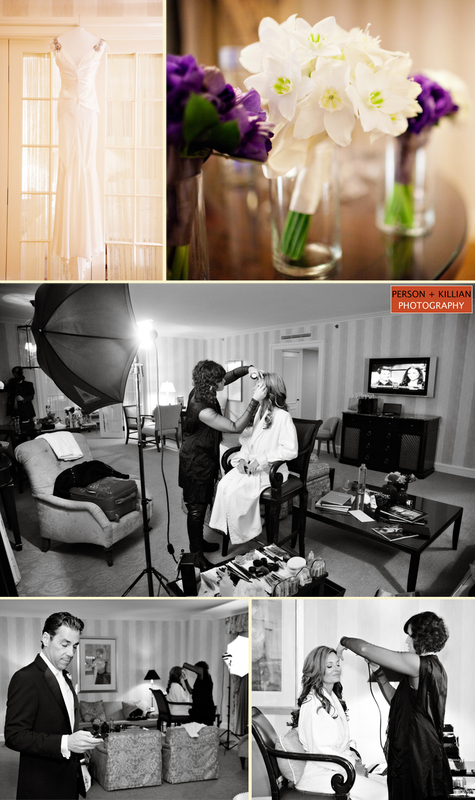 Saturday began at the Four Seasons Hotel where Linda and John got ready followed by a few more photos before heading off to the reception. 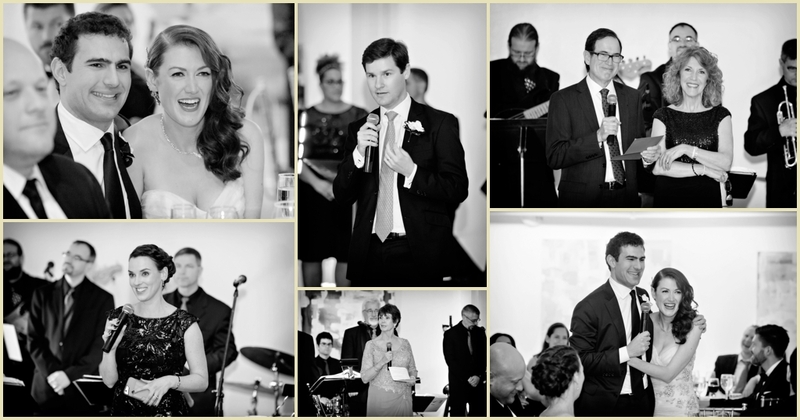 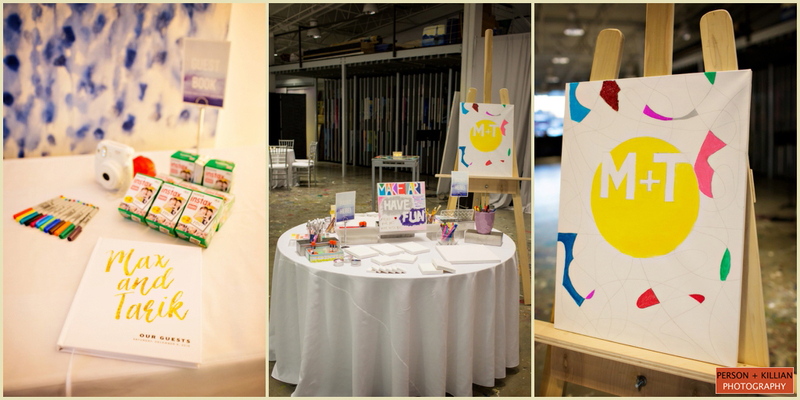 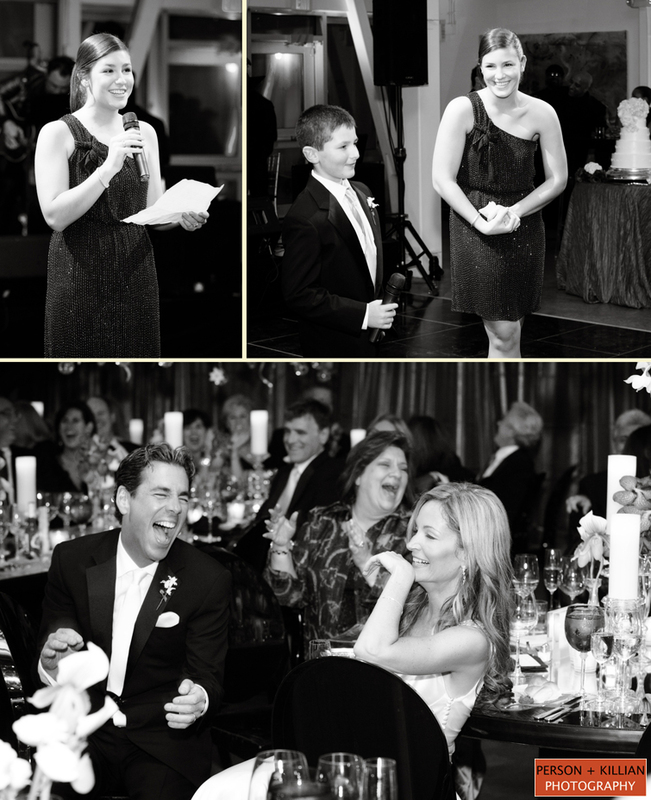 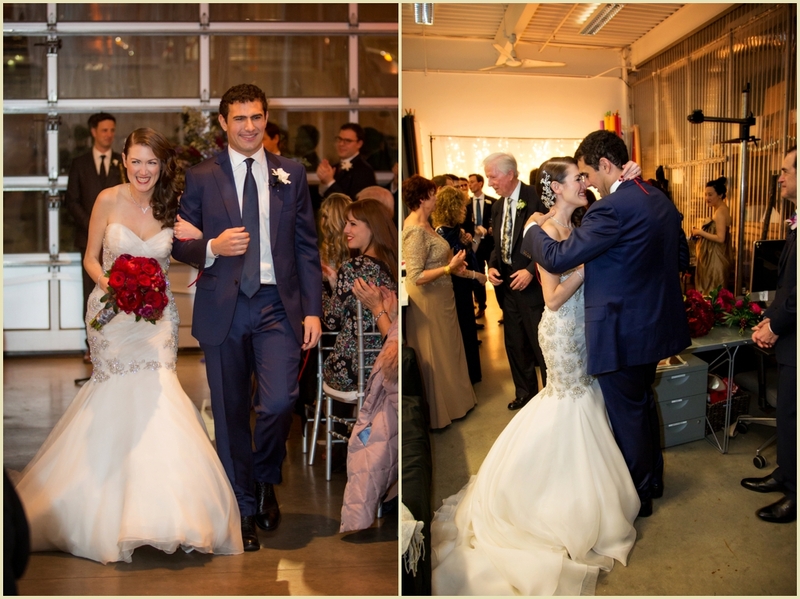 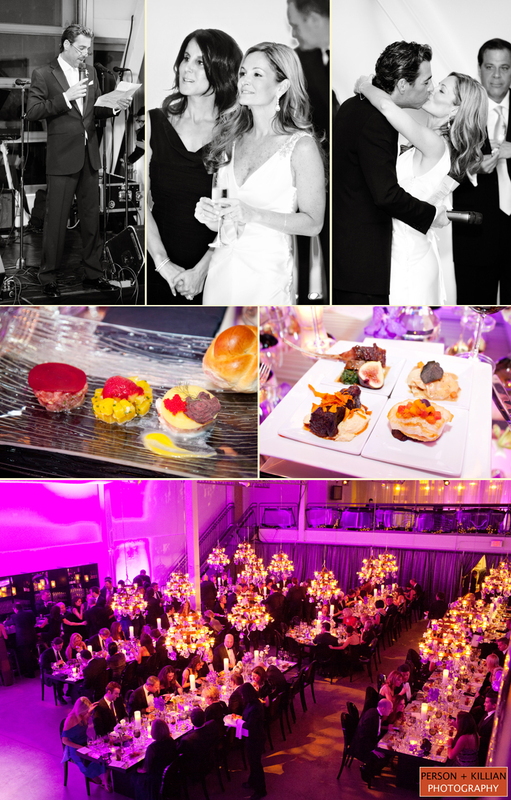 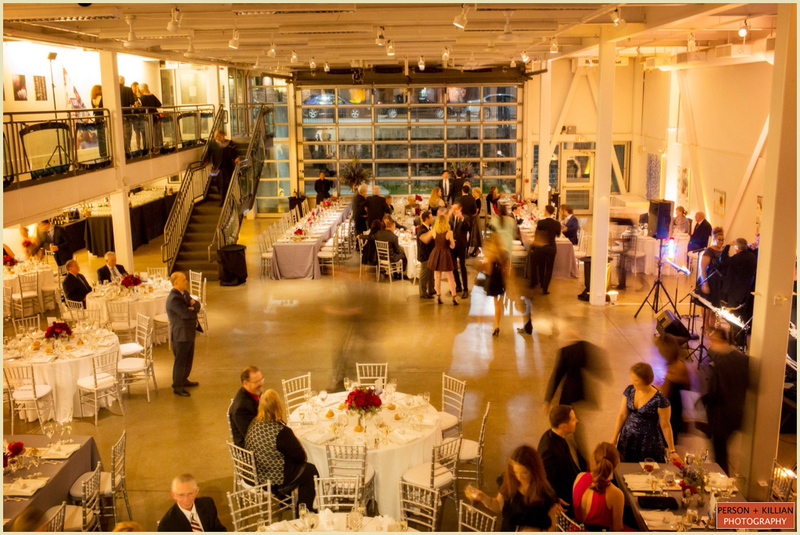 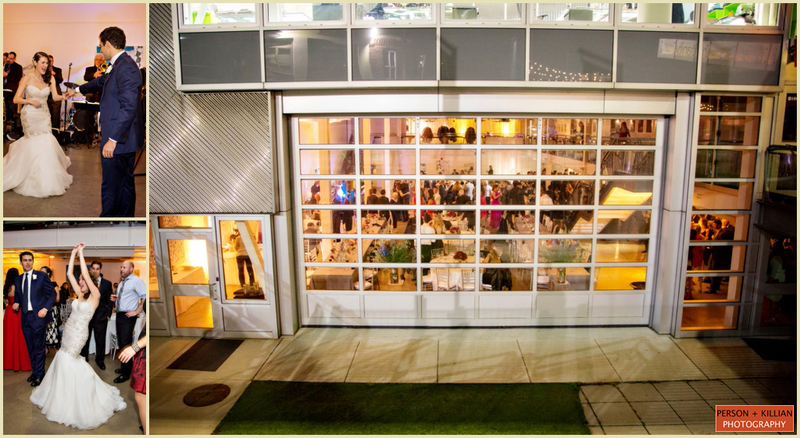 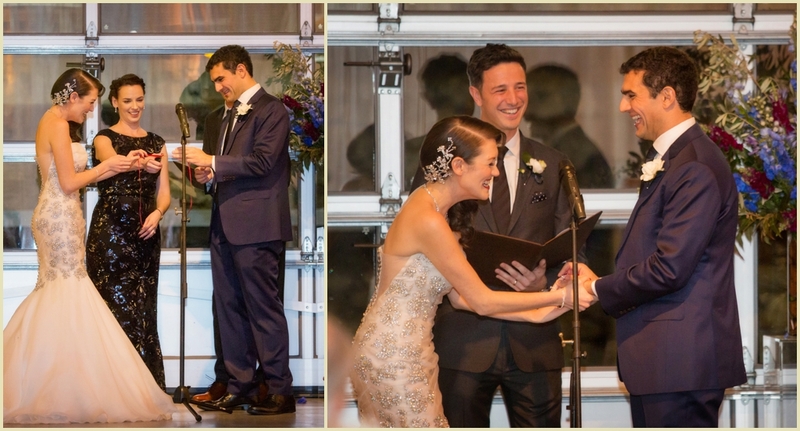 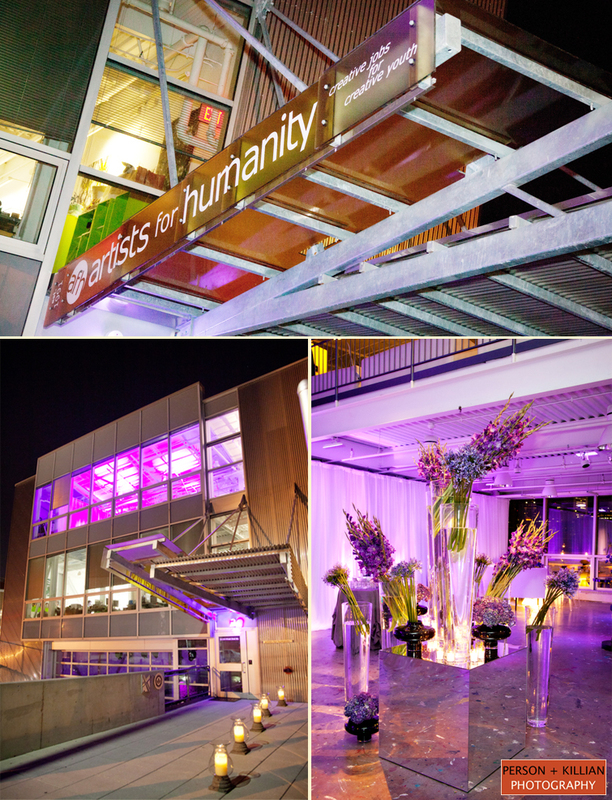 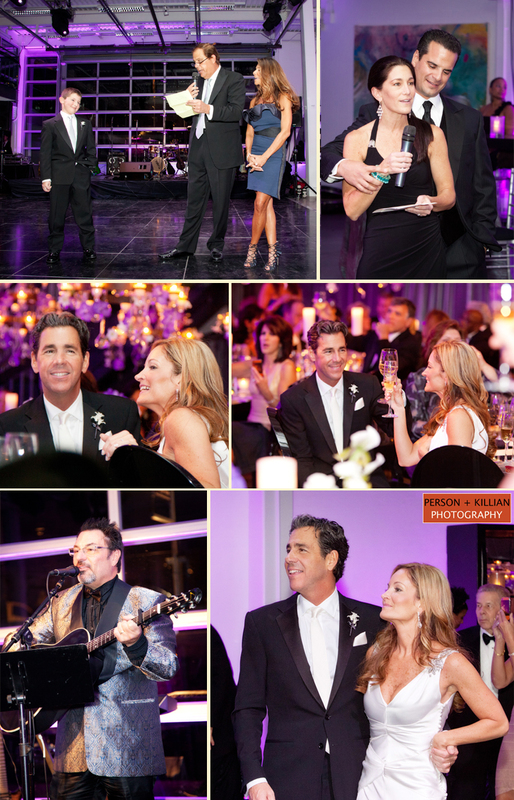 The celebration began with the bride, groom and their guests at Artists for Humanity – EpiCenter designed, catered and coordinated by The Catered Affair. 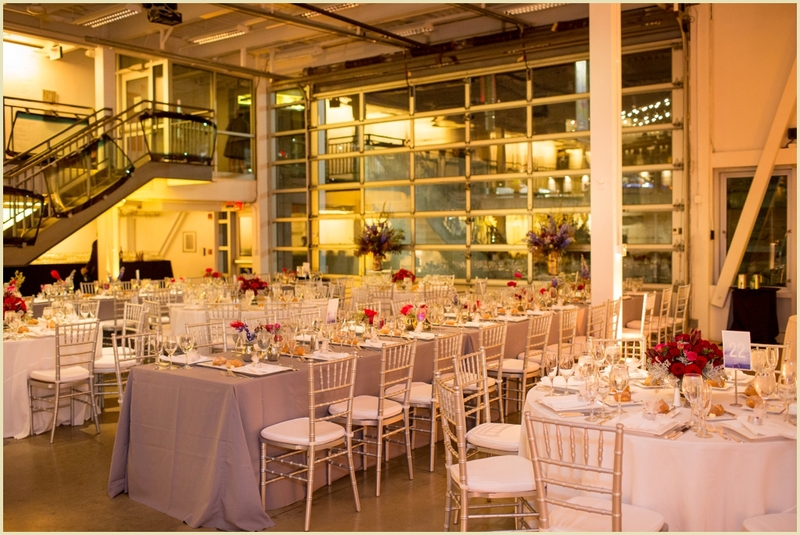 Following cocktail hour, guests were moved into the reception. 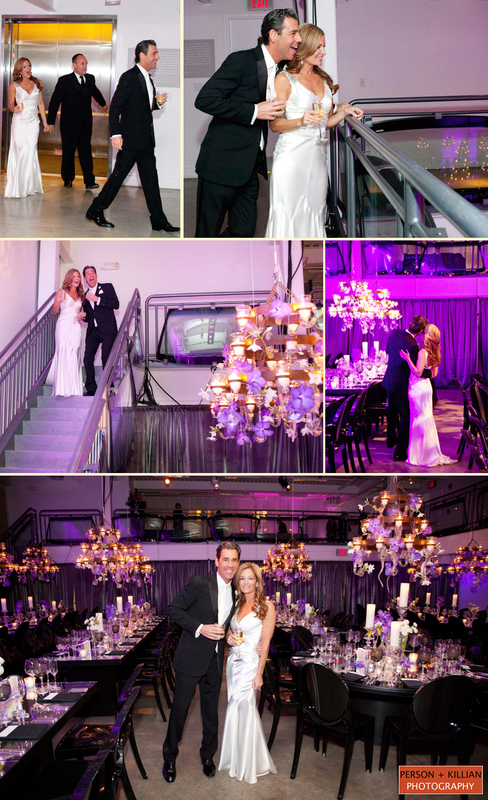 The modern decor, lighting and design (including floral installations and chandeliers) created a chic, sophisticated and elegant atmosphere for dinner and dancing. 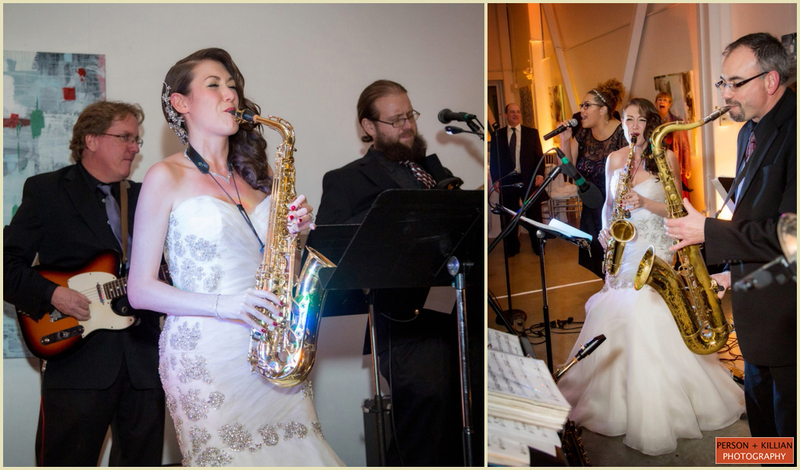 The night kicked into high gear with the Hora and entertainment from a NYC Swing band that kept the party going all evening long. 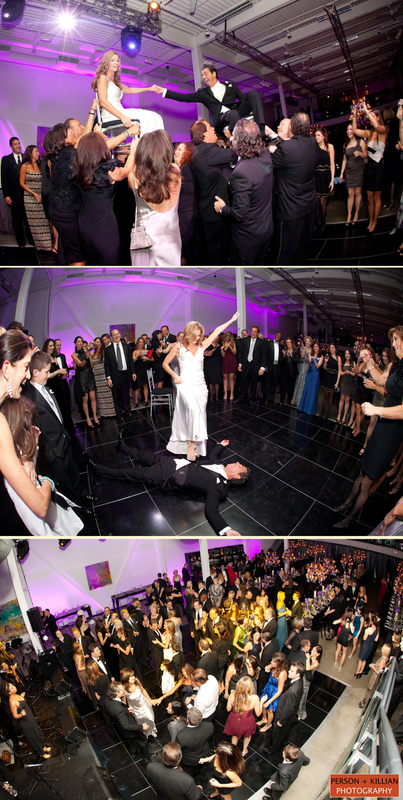 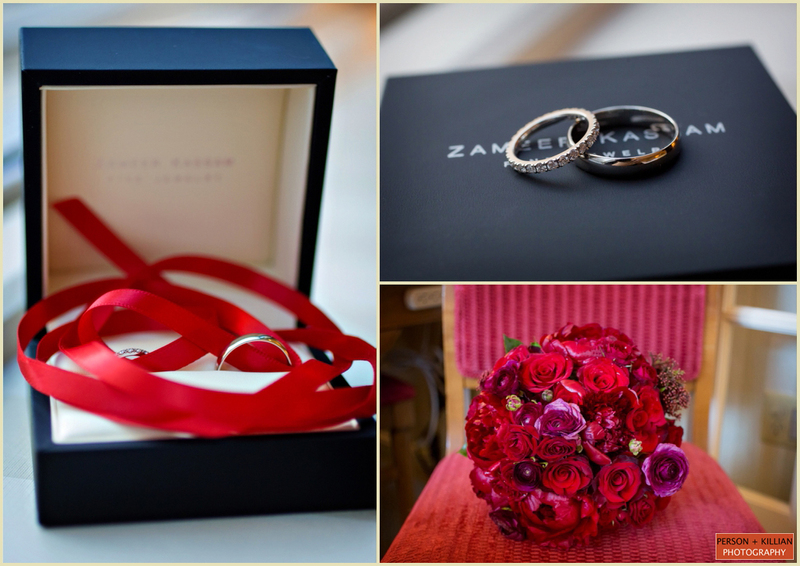 We had an absolute blast capturing this important weekend of events for such a wonderful couple. 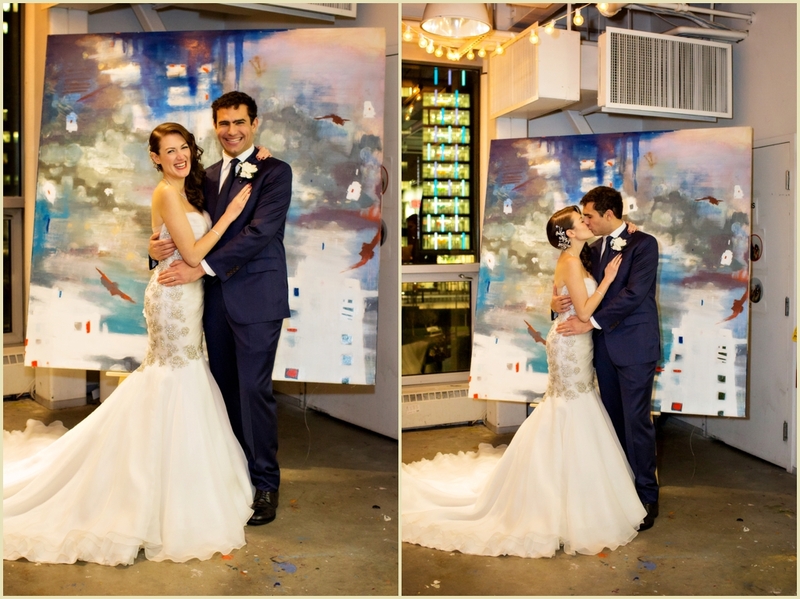 Congratulations and thank you Linda and John! 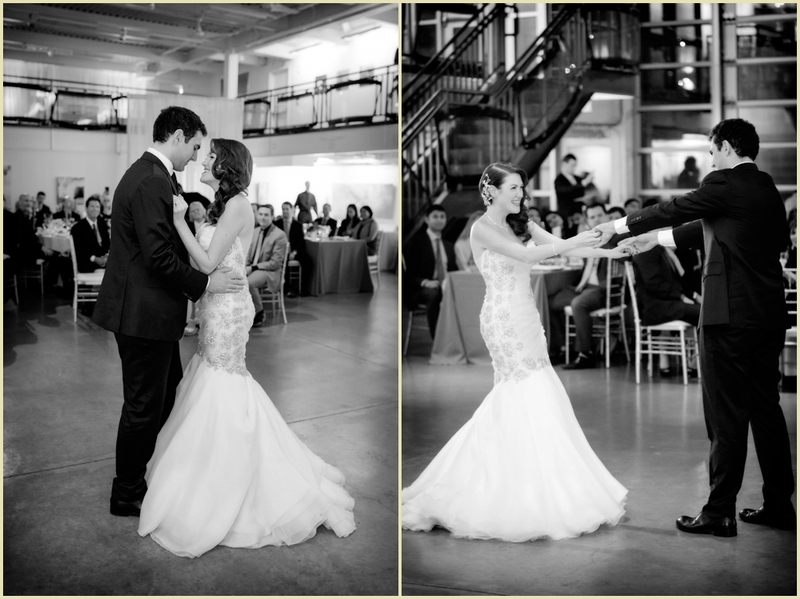 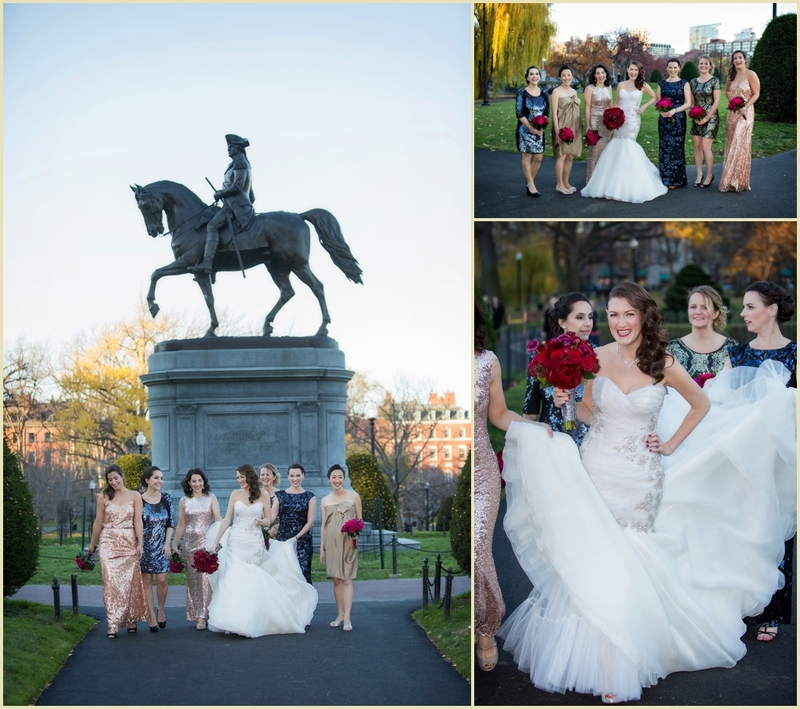 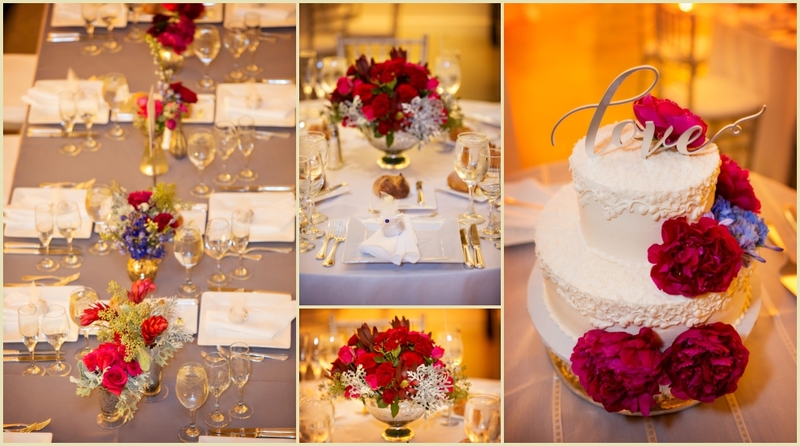 The Boston Wedding of Linda and John was photographed by Jill Person and Laurén Killian of Person + Killian Photography with The Catered Affair with events taking place at the Four Seasons Hotel, Boston and Artists for Humanity. 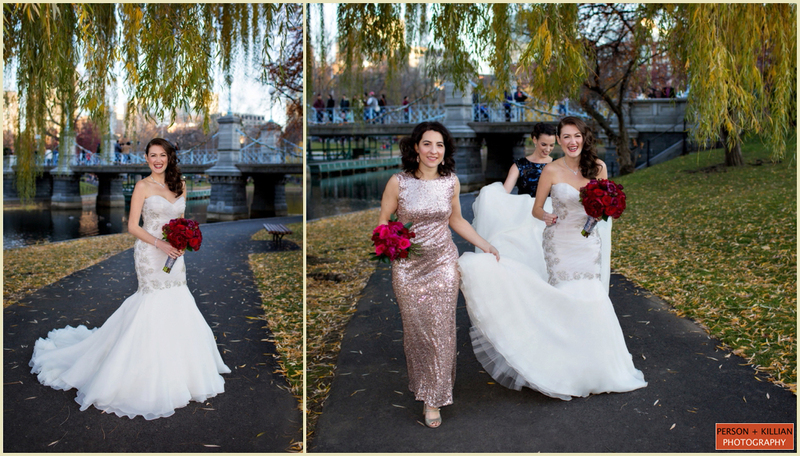 Jill Person + Laurén Killian can be reached via email at [email protected] or [email protected] or via phone at their Newbury Street office at 617.236.1662.